These are 7 habits I use every day. In fact, HUNDREDS of people have downloaded this blueprint and used these EXACT same strategies to manage their own stress, anxiety, and happiness. The 5 foundational needs you have – are you SURE that you’re meeting ALL of them? The #1 way to drop your stress and anxiety levels. How to constantly generate feelings of happiness. How to stop negative thinking and being stuck in your head. Why your goals aren’t working, and what you can do instead. One thing that takes less than a minute to do but can make DRASTIC changes in your life. 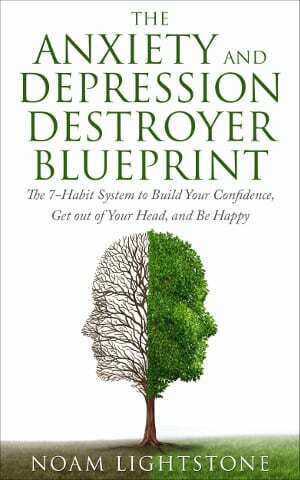 Enter your first name and e-mail to get instant access to the Anxiety and Depression Destroyer Blueprint.